A few months ago, I ordered this throw from Jonathan Adler. Actually, I should say I ordered it from HSN - and it's BY Jonathan Adler. Generally, I get the idea that many HSN buys are made at the 11th hour, fueled by exhaustion or too much caffeine/wine/sugar, and consummated with regret. But I love this purchase, and the quality was better than I expected. It's reversible (white/black, black/white), and I frequently roll it up as a stylish "bolster" when not in use. At around $50, it was well worth it (don't be fooled by the compact look - it unfurls to a very large size). 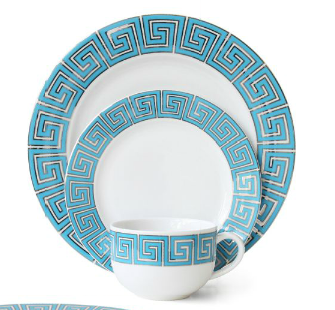 I've been tempted by a number of other Adler offerings at HSN, although there's some design disconnect. 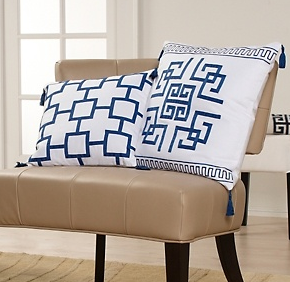 Wouldn't it be great if these pillows came in black/white, instead of navy/white, in order to coordinate with the blanket above? Love the tassels though! 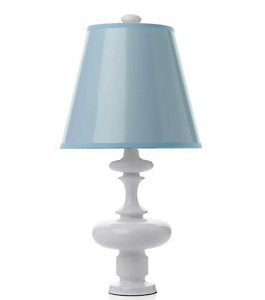 The prices might seem a little steep for HSN, like this lamp for $145, but compared with Adler's other offerings they're darn cheap. 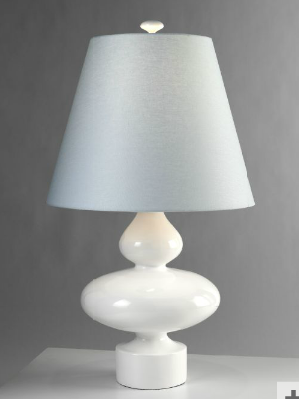 This similar version on Adler's website is $725! Here's a THIRTY TWO PIECE setting on sale for $29.99. No, it's not missing a "1" in there! A similar style also by Adler is $50 for a 4-piece setting. And don't miss Adler's books - on sale for only $4 a piece!!! 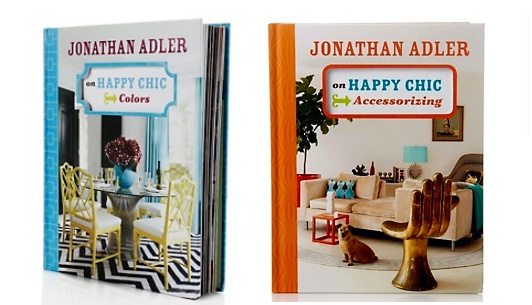 i love jonathan adler - i'm so excited to see these similar options!!! I had no idea. The throw is perfect. 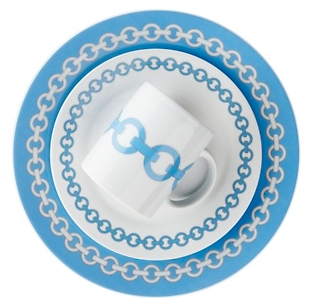 The prices on the dinnerware, amazing! HSN!? really great finds--I had no idea that Adler was on HSN! 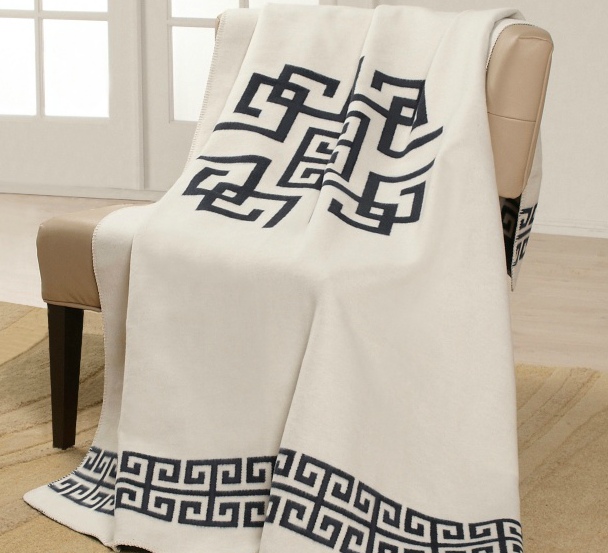 THe throw is perfect-can't go wrong with classic Greek key! I was in his shop here in Atlanta yesterday. Love his stuff.